Meadowcroft wines are vineyard specific and limited release reserve wines expressing a complex narrative of European wine heritage with a twist of California creativity. 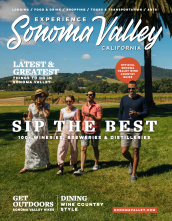 The Meadowcroft Tasting Room is part of the Cornerstone Sonoma Marketplace home to Sunset Magazine’s Test Kitchen and featuring 24 world class gardens, a gourmet café, art galleries and cutting edge design shops all set among acres of vineyards. Meadowcroft Wines is open daily from 10 a.m. to 5 p.m. The venue is available for private parties, private tastings, wine dinners and other events. For information or to make reservations, please call 707-934-4090.